Sandy Kenyon sits down with the "American Idol" judges. 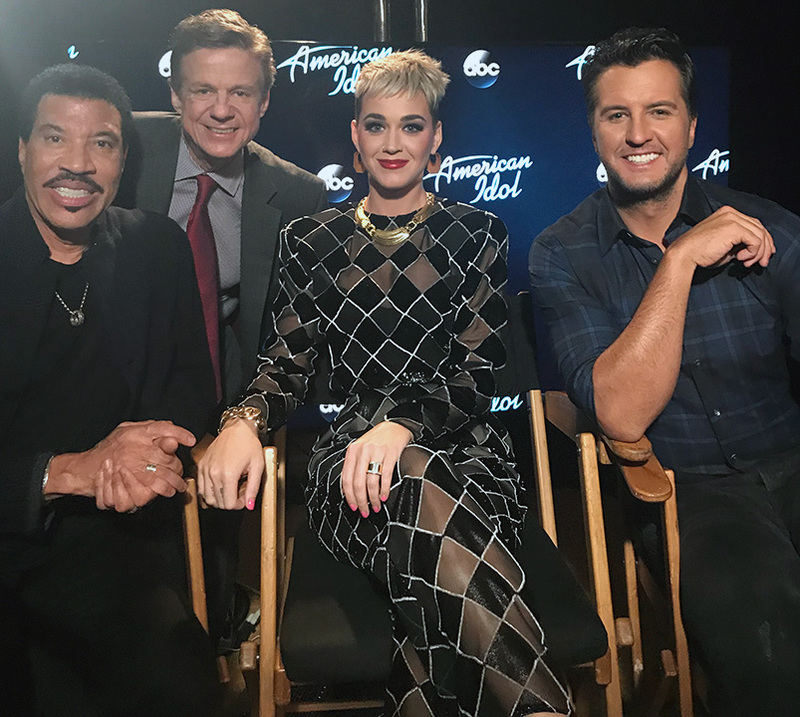 LOS ANGELES -- In the midst of the American Idol auditions, new judges Lionel Richie, Katy Perry and Luke Bryan took a break from listening to the hopefuls in Los Angeles to meet the nation's TV critics. Each views every contestant through the lens of his or her own experience, but they share a common impression after so many auditions that the level of musicianship is remarkably high thanks to technology available to kids from a very early age. "I think about my children at home," Bryan said. "They have their little iPads. They can go type in 'YouTube piano lessons.' They can take piano lessons. They can take guitar lessons, and well far beyond what I can give them." Justin Bieber was discovered thanks to videos on the internet; and in the years since, many more have tried. "We have so many different channels to get your voice heard," Perry said. "But then again, we might have too many opportunities, that it's so much that now you do need a show like American Idol to give you that platform. It's almost gone full circle." Young musicians and singers may have more opportunities to be heard, but what hasn't changed is that they must stand out. Richie is looking for stylists. "Marvin Gaye was a stylist," he said. "Smokey Robinson was a stylist. Diana Ross was a stylist. When they opened their mouths, you knew immediately who they were. Now, do we have some people like that? Absolutely." Talent and technical ability count, of course, but they only go so far. Still, Richie says you don't have to sing like Whitney Houston to win. "Everyone thinks you show up on the show and you hit the note like that," he said. "It's not what we're looking for. What we're looking for is what is your unique quality?" He calls it "instant identity." The rapport between the three judges is obvious during their joint interview, and no one is as snarky as Simon Cowell. Perry said she was not afraid to be honest, but having heard the word "no" often at the start of their respective careers, each judge is determined to be as gentle as possible.